After we finished up our 10 day tour of the Galapagos with GalaKiwi, we independently stayed an additional nine nights on San Cristobal island, exploring all the options that it had to offer. 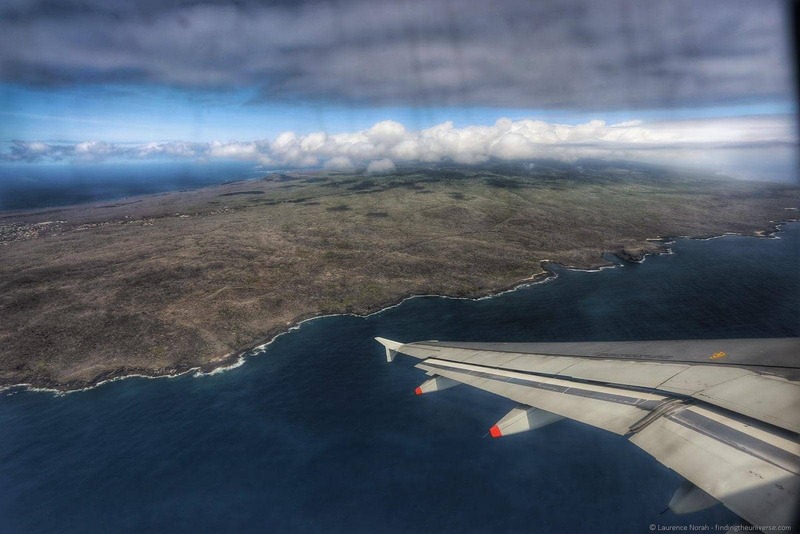 In this post we’re going to go through everything you need to know about visiting this island, and the Galapagos in general, as an independent traveller. We’ll cover all the highlights of San Cristobal as well as how to get to and from the Galapagos, where to stay on the Galapagos Islands, budgetary considerations and so on. 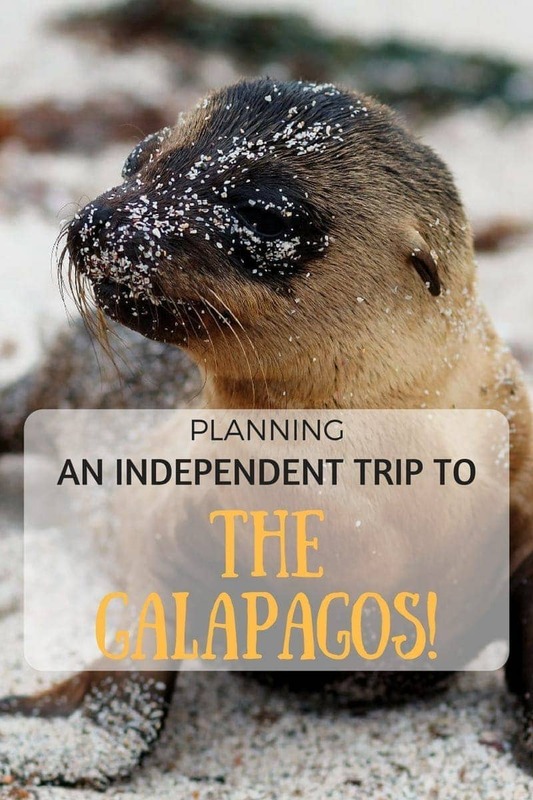 We’d recommend reading this post in conjunction with our “Preparing and Planning for a Galapagos Trip” post, to ensure you are fully prepared! 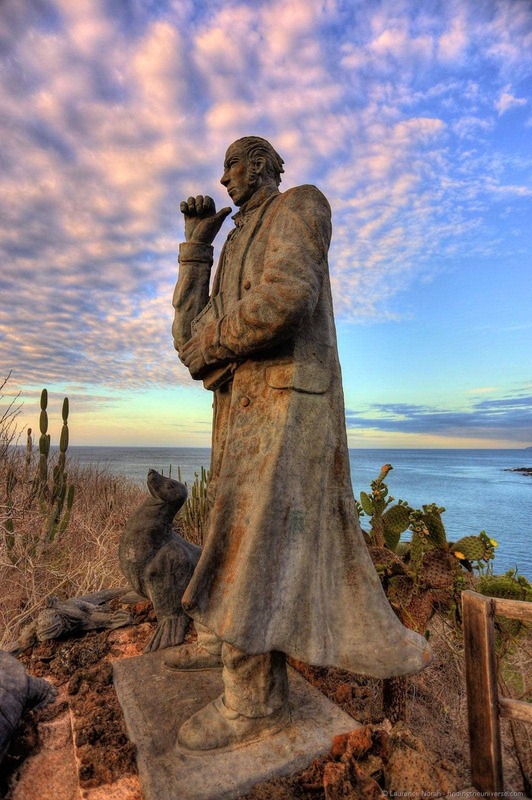 San Cristobal is the perfect island in the Galapagos for the independent traveller. 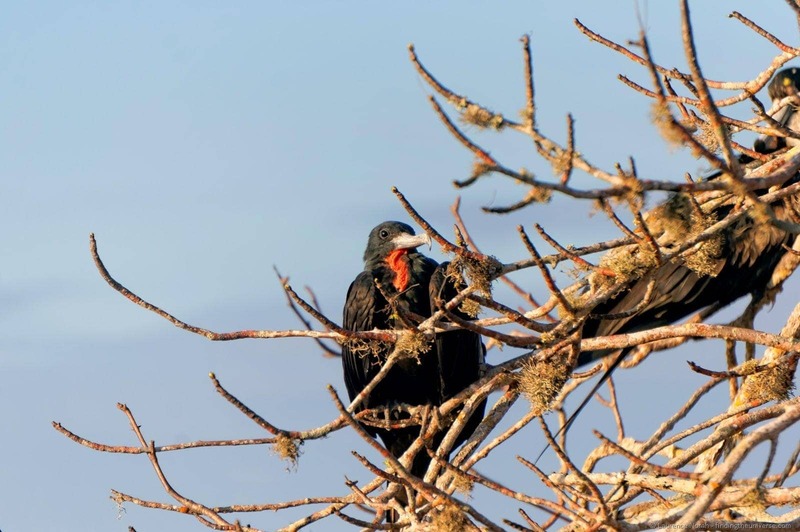 Unlike the majority of the islands in the Galapagos, it has a good number of attractions that you are allowed to visit without a Galapagos National Park guide – although there are of course some attractions that you do need a guide for. It also has a wide choice of accommodation options and is directly connected to the mainland by regular flights. 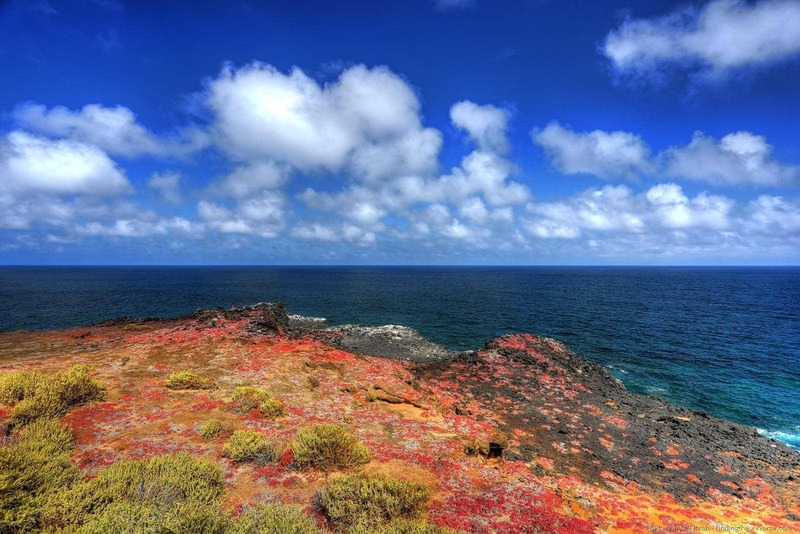 If you want to visit the Galapagos independently, then this is the island we recommend you base yourself from. Getting to San Cristobal from mainland Ecuador is easy as there is a relatively new airport on the island with flights from both Guayaquil and Quito with Aerogal, Tame and LAN. Flight costs vary from $400 – $600 return depending on time of year. You need to buy a return ticket unless you can prove you have another means of leaving, but changing the return date on your ticket is not a big challenge. You also need to buy a specific visa for the Galapagos, which you can get at the airport you leave from at a cost of $10. When departing, you’ll go through a special part of the airport where they scan your bags for agricultural products – obviously it’s a good idea to avoid having any in your bag before heading out! Finally, upon arrival into the Galapagos you have to pay a $100 park entry fee per person. Bring cash to cover that. Getting around on San Cristobal is easy. There are countless taxis, and a ride from the airport to the main town, Puerto Baquerizo Moreno, will take about five minutes and cost around a dollar. It’s also easily walkable, taking around twenty minutes, but if it’s hot and you’ve got baggage, a taxi will be easier. Once you’re settled in, most locations are in easy walking distance, with a few spots best accessed by bike. If you want to head up into the highlands or across to Puerto Chino on the other side, then you can grab a taxi, or, for the truly fit / deranged amongst you, cycle. The main town of Puerto Baquerizo Moreno is where you are likely to be basing yourself as this is where pretty much everything is. There are other villages on the island, but they are predominantly just farming communities. There is a variety of accommodation on offer. We found that price varied from a minimum of around $40 a night for a double with en-suite and air conditioning, and went up to around $100, based on two people sharing. There is a high season, which falls between November and February, and we were advised that whilst prices don’t really change, the availability will. This can also be said for June to August. Nearly all the hotels are locally owned and operated. If you want to stay longer, there is also the option to rent a room or an apartment, or take part in a homestay with a local. Lots of people have spare rooms available and love to host international guests. Prices for these options vary, but are likely to be $10 – $15 a day, which might include some meals. The easiest way to find these is to just ask around when you arrive, but you can also check out websites like homestay.com or AirBnB. During our trip we stayed at a couple of places – Casa Blanca (pictured with the dome), and Hostal Casa de Laura. The former was a little more pricey because that was their best room, but it did offer a great view. The latter was excellent value for money. Note that at the time of writing, both these properties have to be booked directly via their websites. 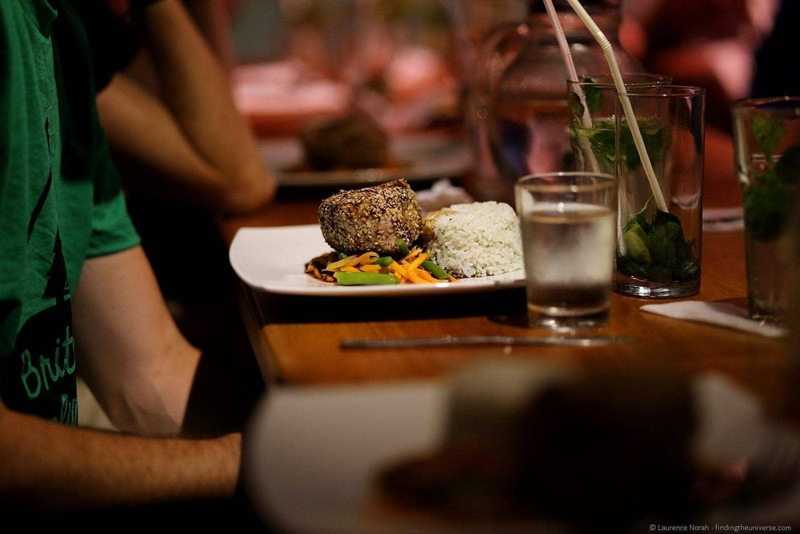 Finding food on San Cristobal is easy – there are plenty of options to choose from – and if you’re into seafood then you’re in for a treat. Prices vary. 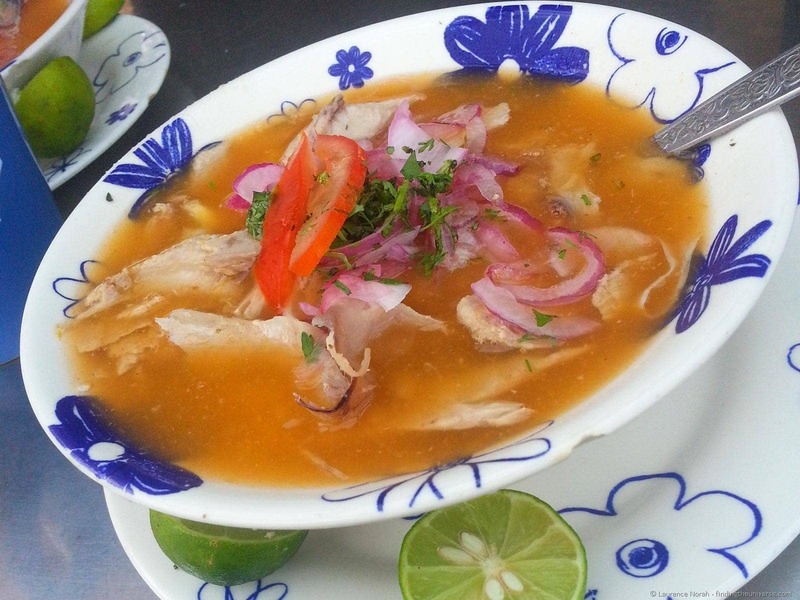 You can easily pick up a locally oriented breakfast of fish soup (encebollado) or a lunch deal consisting of soup, main dish with rice and juice (almuerzos) for $3 to $4. If you want more options, then there are plenty of places to choose from, ranging from this popular seafront spot to the San Jose Grill, the latter of which is awesome for BBQ’d specialities. For seafood, we particularly enjoyed Descanso del Marinaro. Of course, you pay more for these options, with prices ranging from $10 – $20 per item. Islanders Galapagos. We did a day trip with these guys at a cost of around $125 per person up to Punta Pitt. This was a full day tour and included lunch, gear hire and a guide, and was very much worth it. More on day tours in the what to do section below. If you’re into diving, then we were advised to recommend WreckBay. We don’t dive, however they are the firm that GalaKiwi use if they have clients who have diving needs, and we trust their opinion. Finally, if you’re looking to hire gear, from snorkelling equipment to bikes or surf boards you will find that these are available from many places at hourly, half day or daily rates. Just check the equipment is in decent condition before setting off. Money – When we visited, there were three ATM’s available, one of which had an actual bank branch (Banco Pacifico). Unfortunately none of these ATM’s would dispense us money, which wasn’t an entirely uncommon theme in Ecuador where only certain bank branches worked with our Visa credit card. Luckily, the bank branch itself would give us money, although this did cost us a bank transfer fee. Health – There is a clinic on San Cristobal, but any serious medical emergency will likely require you to be taken to the mainland. We always recommend having good medical insurance with evacuation cover wherever you travel in the world, and the Galapagos is no different. Safety – The Galapagos islands are very safe, we walked around with our cameras out at all times of the day and night and felt perfectly safe. In that respect, it’s a marked difference from cities like Quito or Guayaquil. Obviously you should always keep a close eye on your belongings wherever you are, but we felt very safe here. Shopping – Along the main boardwalk there are some little shops and souvenir stands. A few blocks back from this are a couple of reasonably sized supermarkets, although be aware that things do cost a bit more here than mainland Ecuador. There is also a truly excellent bakery at the north end of town. At the other end of the airport, and around a 5 minute taxi / 15 minute cycle / 40 minute walk from town is the beach of Las Loberias. It’s a picturesque little cove where you can get up close with marine iguanas on rocks, and snorkel with sea lions. It’s a really nice place to pass a few hours. If you’re feeling like a slightly longer hike, you can take a walk on past the beach and along the cliffs, which offer some spectacular views of the coast and the unspoilt island wilderness. Very much worth it in our opinion. 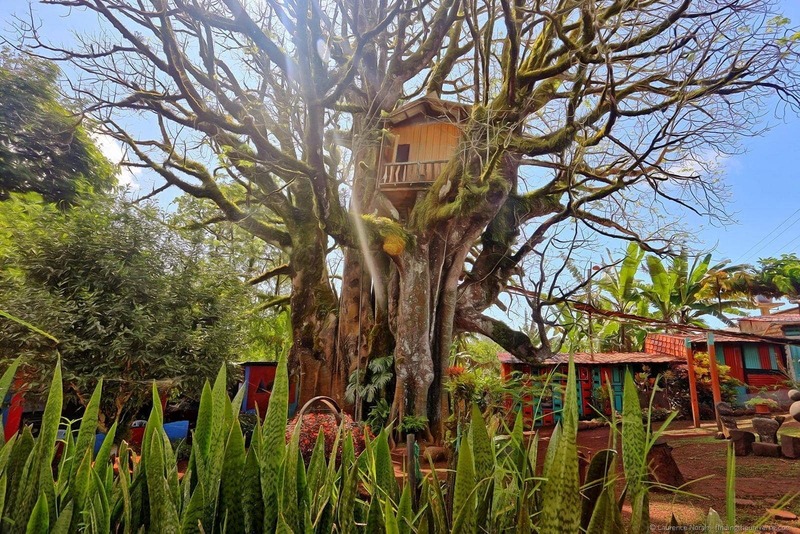 Regular readers might be aware that we spent one of our nights in the Galapagos sleeping in a treehouse! This may not be for everyone (it’s open air, and the highlands get their fair share of bugs), but it’s open throughout the day, and you can visit for a nominal fee to see this marvellous construction. This would be a good excursion to combine as a full day trip across to Puerto Chino, the beach on the other side of the highlands, as well as visiting the tortoises at Galapaguera and the Laguna El Junco crater lake walk way up in the highlands. For this trip you’re looking at at least five hours, and so you’d be best off hiring a taxi for the excursion. This would cost in the region of around $50 to do so – arrange the price in advance. Before we visited the Galapagos, we had no idea that these islands were home to some of the most sought after coffee in the world. At Starbucks, if they have it, a cup of Galapagos coffee can set you back as much as $8 a cup. Or, you could drop in to the Mockingbird Cafe on San Cristobal, operated by the chap who oversees the main coffee plantation on the island, and get a cup for much less, safe in the knowledge that it’s entirely organically produced with a seriously low transport cost! 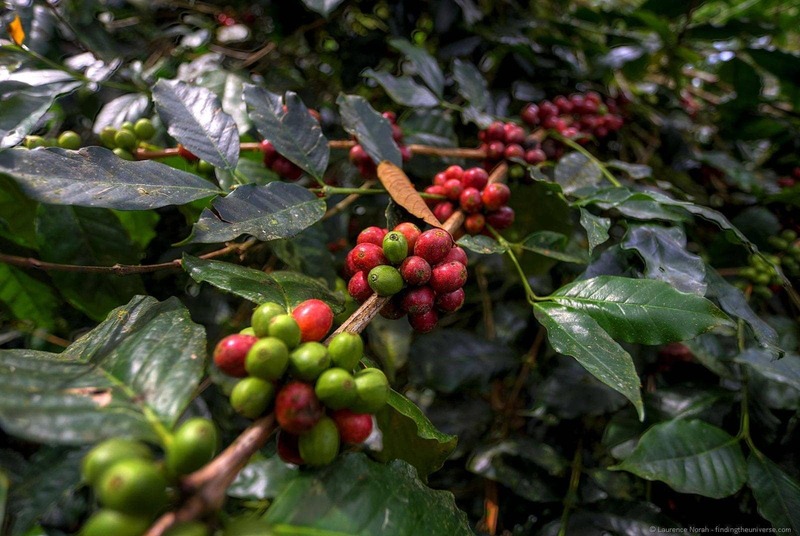 We were lucky enough to have an exclusive tour of the coffee plantation set up for us. This isn’t generally available to the public, but if you’re nice to the owner of the Mockingbird Cafe, maybe you’ll be able to figure something out! Or, you could read our post on the subject instead. As previously mentioned, you can do a great deal on San Cristobal island entirely by yourself. However, there are two experiences that we absolutely insist you do, both of which will require you to take a licensed tour operator. The first is a ride up to Punta Pitt. This is at the far eastern end of the island, featuring a crazy volcanic landscape that you won’t find anywhere else on the island. It’s also home to all three species of booby, in particular the harder to spot red-footed booby, which we were lucky enough to spot during nesting season. The visit requires you to take a boat to the end of the island (there’s no road), followed by a walk which is just under 2km. It’s not overly taxing, but there is a bit of uphill, there’s little shade, and the Galapagos is a hot place. So bring sunscreen, a hat and a water bottle! For more on preparing and planning for a Galapagos trip, take a look at our detailed post on that subject. We’ve spent a fair amount of time snorkelling, including time in the stunning Similan Islands of Thailand, but we’ve never had a snorkelling experience like that at Kicker Rock off San Cristobal. Within seconds of getting in the water we were following a three metre wide manta ray, before becoming distracted by a pod of dolphins who wanted to say hello. Shortly after, we were snorkelling between the walls of the sleeping lion (named so by the locals for the shape of the rock), where there were turtles, reef sharks and countless fish. Then there were eagle rays, sea lions and a gigantic ball of fish to swim through, before the day topped itself off with an encounter with at least a hundred hammerhead sharks. So yes – Kicker Rock. If you do only one day trip on San Cristobal, make it this one. 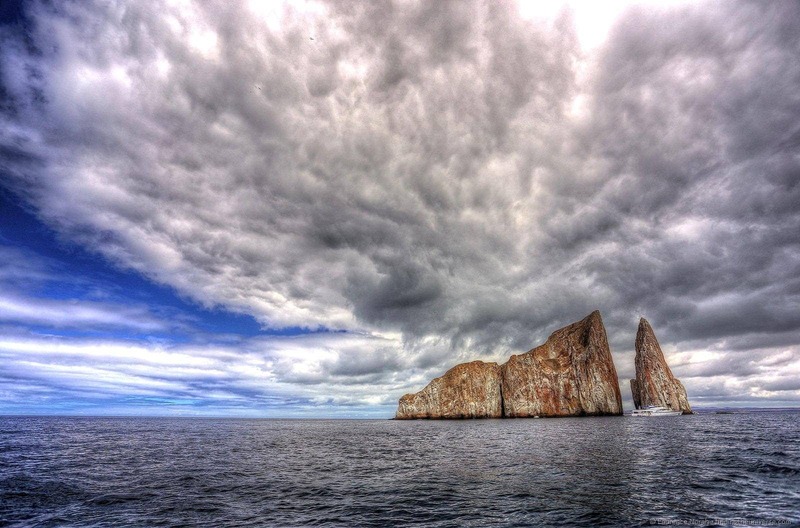 If you are lucky, you might be able to find a company doing a day trip that includes both Kicker Rock and Punta Pitt in one full day adventure, which would be a truly unforgettable experience. There is nothing we like better than watching the sun set over the sea, and San Cristobal offers some good locations for this – the best of which is Punta Carola, also known as Lovers Beach. A popular spot with locals,visitors and sea lions alike, this little sandy cove offers gorgeous sunset views as well as great surfing. Yes, the Galapagos are also a surfing destination for the well heeled surfer. Who knew? You can either watch the sunset from the beach, or take a walk up Cerro Tijeratas hill, as mentioned below, for a great view from above. Getting to Punta Carola involves a walk – you can either head past the interpretation centre (see below) or through the interpretation centre and follow the path. It’s not hard to find, and anyone on the island will be able to point you in the right direction if you lose track of where you’re going. On the way you will walk past Playa Mann, the closest beach to town which gets very popular on the weekends and is great to cool off either on the way to or back from Punta Carola. 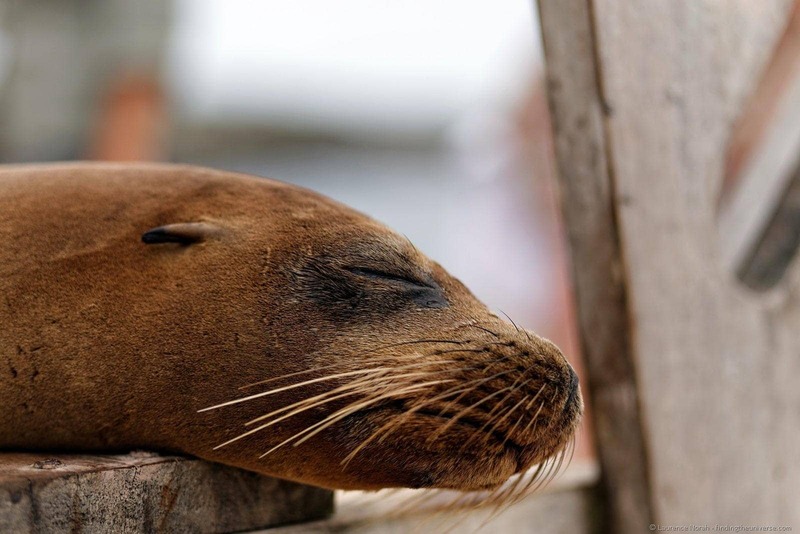 One of the main reasons you’ve come to the Galapagos is to learn about the history of the islands, from the wildlife through to the geology and also the human inhabitants. And, after visiting a few locations on a number of the islands, we concluded that the best place to learn about all of the above was the Interpretation Centre on San Cristobal. This building contains everything you might need to know about the islands, without being too overwhelming. 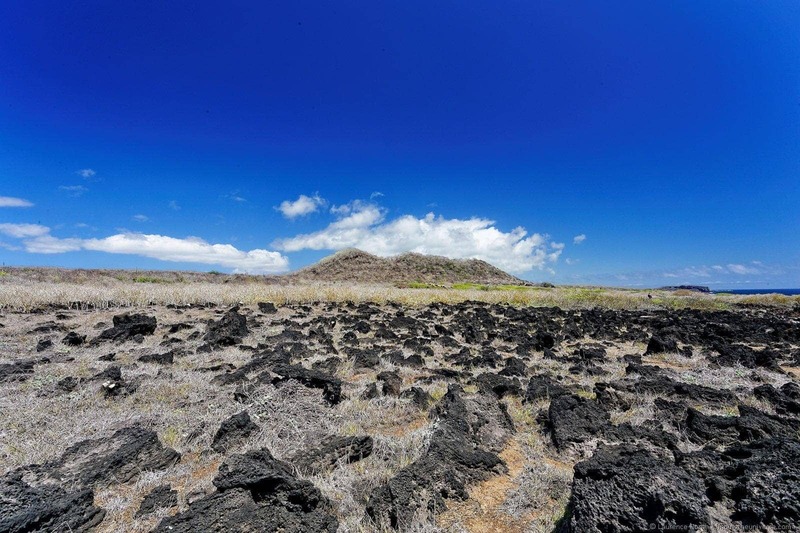 Handy displays walk you through how the islands formed (and continue to form: the Galapagos are still actively volcanic), how the wildlife came to be and its importance in our understanding of biology, as well as the history of the people of the islanders. The latter was fascinating – the history of the Galapagos people is often a story of tragedy and desperation, of people battling to survive in a land which was deeply unwelcoming. Plus, there are tales of murder, mystery and intrigue. Even better, the Interpretation Centre is entirely free to visit. We highly recommend you visit early on in your stay to get a good feel for where you are. It can be found a short walk to the north of town, or a 2 minute taxi ride from the town centre. Around the back of the Interpretation centre is a loop trail which takes you to Punta Carola as well as up to Cerro Tijeratas Hill, from where you can get very close to Frigate Birds, as well as get a great view of the island, Kicker Rock, and the sun setting into the sea. It’s not a particularly challenging walk, although the last section does require you to go up the hill via a staircase. If you’re feeling fit, the trail carries on along the ridge and to another gorgeous beach which is rarely visited. Below the hill there’s a cove which is excellent for snorkelling and is also home to a statue of Charles Darwin. This is believed to be where he first made landfall on his historic voyage to the islands. From his statue you can see blue footed boobies as well as frigate birds wheeling overhead. Saving the best for last! 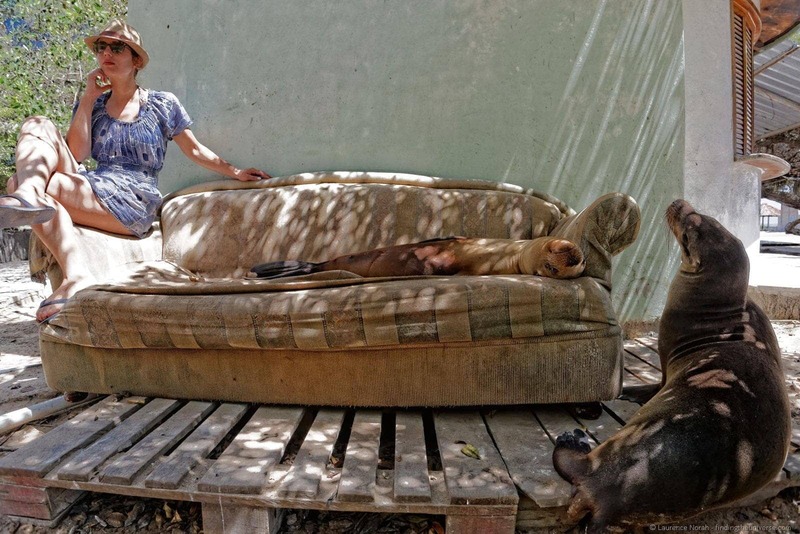 Without doubt, our highlight on San Cristobal were the sea lions. These guys are literally everywhere, in far greater quantities than on any of the other islands, lying on benches, in the road, on boats… yep, generally everywhere you can imagine. They are very used to humans (although you aren’t supposed to get within 2 metres of any animal in the Galapagos), so are easy to take photos of. They are also endearingly, unbelievably cute. We visited in December, which happened to coincide with sea lion babies being everywhere. And if there’s anything cuter than a baby sea lion wobbling across the sand, I don’t know what it is. So yes, sea lions. You can’t miss them. Before I visited the Galapagos, I wondered if it would live up to expectation. And the answer, is yes, yes they do. Although we were invited on a tour with GalaKiwi, we paid for our own flights to the islands as well as for our subsequent nine days of independent exploration and accommodation on San Cristobal. And we would go back in an instant. They are just that marvellous of a place. We would very much recommend doing an organised tour if you have the budget. We went with GalaKiwi, who gave us an amazing experience, took care of all the logistics, made sure we learnt everything we possibly could about the islands, and basically filled every day with awesome experiences. However, if your budget doesn’t quite stretch to it, or you really prefer doing things yourself, or you just happen to have some free time after a tour, then we can highly recommend basing yourself on San Cristobal for your trip, and exploring from here. It has everything you could want to experience, is easy to get to, from, and around, has plenty of accommodation options, and is far less busy than Santa Cruz with more to do. 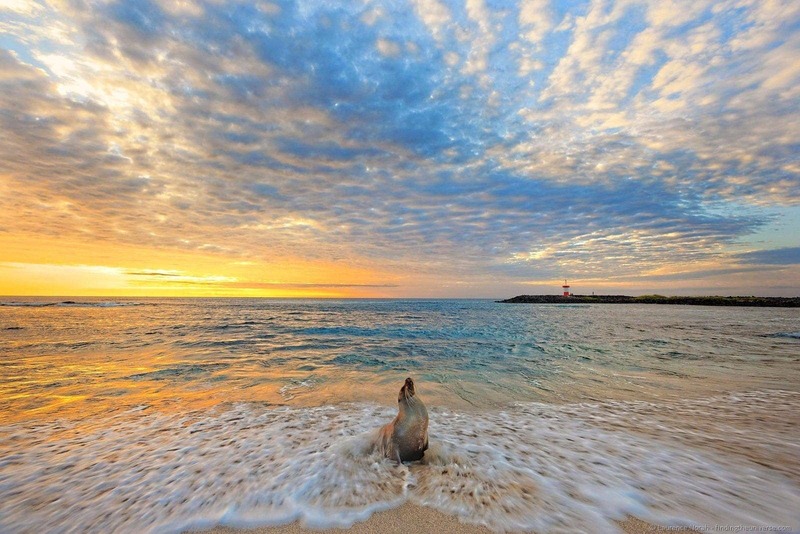 Want to know more about planning a trip to the Galapagos? Check out this comprehensive guide we wrote, which contains tips on things to bring, how to get between the islands, and an insider’s guide to going to the loo on a boat. We also have a series of other posts from our Galapagos adventures to inspire you, here, plus a guide to what to pack for the Galapagos. Enjoy! We are going in March. So excited to see everything we were reviewing on your site with details and pictures!! THANK YOU. Will post to you when we get home ! OMG, that Punta Carola pic is amazing! thank you for the posting and all the tips! Can you post advice on taking pictures with iphone for the non-professional lazy people, even with recommended iphone add-on lenses? What a great post! I just came across your post as my husband and I are planning a 9 day trip to the Galapagos at the start of March, on the way back to Australia after a 12 month trip! San Cristobal sounds amazing. Your photo from a roof top on a building which is bright blue and white is gorgeous. Is that where you stayed? What was the name of the hotel/hostel, and can you remember how much it was? Thanks for your advice.